Are you looking for a diabetes diet plan to help you manage your sugar level and avoid diabetes complications? DietSensor is the solution that you have been looking for. The DietSensor Nutrition Coach can help to keep your blood glucose at the recommended level. The DietSensor Nutrition Coach will take you on a 12-part journey and will help to establish a diet for type 1 and type 2 diabetes. Each part of the program consists of seven days worth of advice, presented each time you log a meal. Missed a few days? Don’t worry, the program will extend for as many days that you miss. Every time you log a meal, your coach will give you some reading to do on a particular topic, tailoring it to your profile and possibly to the meal you just ate. It’s as if a nutritionist was standing right by your side. Click “Got it” to no longer see the message and move on to the next one after your next meal. You will receive tons of advice that you can put into practice. Everything has been validated by our experts and backed by recognized medical sources. Part 1: The coach gives you some basic information about diabetes, sets your goals, observes your eating habits, and teaches you the basics of nutrition. Part 2: After a quick review, you’ll focus on the different kinds of carbohydrates as well as on treatments and how they are connected. Part 3: More focus on carbohydrates, fibers, and concepts like the glycemic index. Part 4: A closer look at essential carbohydrates, diabetes management and fats to better control your weight. Part 5: The importance of portions. Part 6: Meals and their varying composition. Part 7: Physical activity and energy expenditure. Part 8: Proteins, salt, antioxidants. Part 9: Hydration and drinks. Part 10: How to better manage your nutritional intakes. Part 11: After observing you over time, your coach will have increasingly more advanced pieces of advice on how to change your eating habits long-term. Part 12: Review time, and your coach will help you maintain these lasting changes. Enjoy your journey with the DietSensor nutrition coach! DietSensor is now available for Android 5 and 6 in 19 countries: Austria, Belgium, Canada, Denmark, Finland, France, Germany, Ireland, Italy, Mexico, Netherlands, Poland, Portugal, Spain, Sweden, Switzerland, Turkey, United Kingdom and USA. The first version of Android gives free access to the Basic Plan plus SCiO for a limited period of time. When it expires, the users will be prompted to download the latest version and subscribe to the Ultimate Plan or the Premium Plan at a reduced price to be able to use SCiO. Don’t wait too long to order your SCiO, our inventory will decrease quickly. It is to be noted that the iOS accounts cannot be opened in the Android version of DietSensor. iOS users willing to shift to Android must create another account using a different email. Both versions contain the same features. The product will be demonstrated at the Consumer Electronics Show (CES) 2017 at Las Vegas, Nevada. The event will be held from 5th to 8th January. Stay tuned for fresh news! Weight loss, diet changes and physical activity all play a role in preventing or delaying diabetes and the many complications that go along with it, including heart disease, stroke, kidney disease, blindness and other health problems. More than 86 million of Americans have prediabetes according to a recent study. Prediabetes arises when blood sugar levels exceeds the normal range but not too high to be associated with Type 2 diabetes. Despite the various researches, the exact causes of prediabetes have not yet been confirmed. However, there are no doubts that obesity, lack of physical activity and poor diet are key factors. 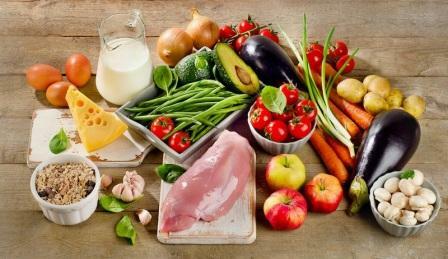 A balanced diet can help in weight management thus reducing the risks of prediabetes. It is sometimes very difficult to have a balanced diet. Failing to do so can lead to frustration. DietSensor can help those struggling to keep healthy eating habits. The application gives accurate results with any homogeneous food, even with homemade dishes and beverages. By scanning your food, Dietsensor helps you in managing your macro nutrients and calories intake. The nutrition coaching app can be used in combination with the SCiO scanner for a higher level of accuracy. Be the first to get the game-changing new app and qualify for the Early Bird discount on your DietSensor subscription. Sign up now! 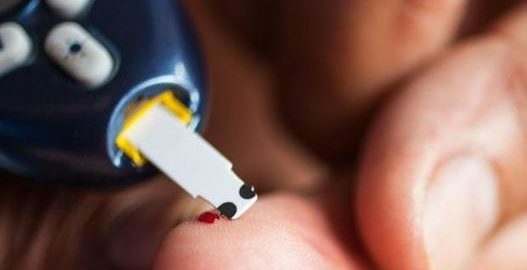 Patients who reverse their diabetes and then keep their weight and blood glucose levels down can remain free of the condition, new research has found. A breakthrough study by British scientists reveals that even people who have had Type 2 diabetes for up to 10 years can reverse their condition and avoid diabetes complications after adopting a very low calorie diet and an efficient blood glucose monitoring. The research gives new hope to millions of people living with diabetes. We live in an environment surrounded of calories and food rich in carbohydrates. Most of us are not adapted to it. Managing diabetes is a very challenging task whatever the diabetes type. A low-calorie diet makes it possible due to the fat that is removed from the pancreas, which returns insulin production to normal. At DietSensor, we think that this is good news for people who are very motivated to get rid of their Type 2 diabetes and avoid the risk of prediabetes. They can lose pounds, keep diabetes off and return to normal. We believe that carb count for diabetics is essential. DietSensor helps you on dietary intake and weight control, highlighting diet strategies that also help prevent chronic disease caused by high blood sugar levels. How does it works? DietSensor is a handheld scanner that connects to an app on your smartphone via Bluetooth. When you point it at your food and click, it’s able to detect its nutritional value and send a detailed report straight to your phone via Bluetooth in seconds. The app can be used as a continuous glucose monitoring tool. Once you’ve enter the foods, DietSensor does the heavy calculations for you by figuring out what you should have more of or cut back on, and even the ideal times to eat, based on your health profile. Some of this might seem obvious, but you’ll be surprised at the detail that can go into a healthy diet. The app will coach you toward your nutrition goals using a progression chart with all your info. The SCiO with DietSensor can be very helpful to diabetics, or people struggling to lose weight. Save time and start eating healthy ! To know more about your DietSensor app, join our list and also you can pre-order the dietsensor and the SCiO scanner today and pay on delivery, in October. The number of prescriptions given to treat type 2 diabetes – a disease associated with obesity and lifestyle – has risen by nearly 35 per cent in just four years, according to new research. 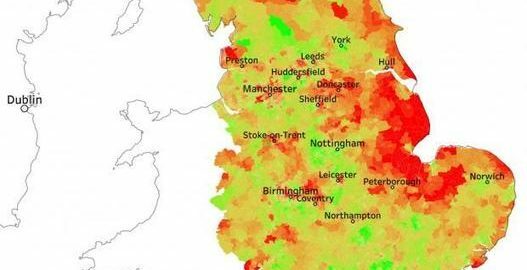 Data analysts at Exasol produced a heat map of England showing prescription rates in 2011 and 2015, using official Government figures. They found that, based on current trends, the number of people with type 2 diabetes was on track to reach five million by 2020, five years earlier than previously thought. Prescriptions have gone up by more than a third in just five years. The map of prescriptions indicates a higher prevalence of the disease in the east of England.However, the highest rate of type 2 diabetes prescriptions was Newham in London. According to researchers, it was estimated this would rise to five million by 2020, based on the prescriptions ordered. At Dietsensor, we are convinced if you have the right data and the right technology, you can turn any problem into a data problem and uncover information to help address it. The DietSensor mobile application was developed to help users better manage their health, by providing accurate, easily nutritional information, especially for those who are suffering from being overweight or with chronicle diseases related to nutrition. By downloading the mobile app you can: -Track your daily meal intake – Select foods to plan daily meals -Learn about portions serving sizes – The DietSensor’s app is an extremely popular option for people looking to really get their arms around their portion size, daily caloric goals and intake, and start keeping an eye on the foods they eat. The research, presented at the European Association for the Study of Diabetes, suggest women should monitor their levels of fatty acid consumption, which is also found in red meat. According to health experts, it is recommended to eat at least one portion – around 140 g when cooked – of oily fish a week. This is because oily fish can contain low levels of pollutants that can build up in the body. For this reason, we should be careful of the portions we should be eating each week and we must follow some recommendations. These recommendations varies for different groups of people. It is advised to have no more than four portions of oily fish a week, for a new study found to have eating too much of it can increase the risk of developing type 2 diabetes. At DietSensor, we want you to fight your fear with knowledge and have made it so easy for you so that you may have a better standard of living. The DietSensor scans food, reads the spectrometric scans from your SciO scanner and then sends accurate analysis of your homogeneous food or beverage to your smartphone. Almost every day in the news you hear about a new study coming out either praising or villainizing a type of food – one day your cup of coffee is an indulgent treat and the next day it is associated with protective health benefits. This yo-yoing can cause confusion and may lead you to unnecessarily demonize foods and the nutrients in them. In the world of health and fitness, carbohydrates and fat are villains, which are macronutrients along with protein that your body needs in large amounts to provide energy and to aid in growth and body function. We also required micronutrients such as vitamins and minerals – but in much smaller amounts. According to Angela Luciani, RD, LDN, a registered dietitian said in an interview with Philly.com, that eating more calories that your body required can lead to weight gain. She also added that cutting out entire food groups can lead to nutritional shortfalls and unpleasant side effects. Many people incorrectly believe that only sugar causes type 2 diabetes. In reality, the insulin resistance associated with type 2 diabetes can be thought of as carbohydrate intolerance; type 2 diabetes is a side effect of consuming too many carbohydrates relative to a person’s carbohydrate tolerance, which can cause blood sugar to spike. You can start using a carb counter to monitor your carb intake and it is a great way to stay on track! DietSensor, the scanner-and-app combo , introduced at CES 2016, aims to make healthy eating easier and instantly gives you nutrition info on the food you’re eating! By scanning your food, even homemade, it will take 1 click to log it, 10 times less clicks than manual input methods to input processed food. It is the first instant nutrition coach with sensors able to tell within seconds the nutritional values of a food or beverage and give immediate advice, of the quantity of what you should eat from your plate based on your goals. All this driven by evidence based medicine. Exercise is often recommended to diabetes patients looking to improve their blood sugar, insulin sensitivity, blood pressure, and cholesterol levels. Some doctors even call it a prescription for diabetes management. Although experts have agreed that physical activity is beneficial for controlling diabetes, research has not been so definitive when it came to preventing the condition. Until now. Exercise, especially high-intensity interval training, can help ward off the development of both diabetes and pre-diabetes. According to the study, not only did the high-intensity workout the cholesterol levels, blood sugar, and weight of Type 2 diabetes patients, it also improved their cardiovascular health. The next important thing is our diet. DietSensor, the scanner-and-app combo, introduced at CES 2016, aims to make healthy eating easier. Once you’ve scanned your food, the SCiO scanner will transmit the dietary information to the app via bluetooth. Your screen will then show the food’s breakdown and the app will add this to your specialized diet tracker, offering advice to ensure you stay healthy and don’t exceed any set limits. It’s ideal for anyone who needs really in-depth information about whatever they put into their bodies, whether their motivations are purely ‘I need help sticking to this diet’ or ‘this will genuinely save me the time and effort I spend weighing and checking to make sure I stay healthy.’ Whether you’re trying to lose weight or put on muscle, the app helps determine the best things to eat to meet your goals. The DietSensor scanner is available to pre-order and you can pay on delivery! For more updates on the DietSensor, join our list dietsensor.com/wait-list/.